It’s hard to think of a relationship as symbiotic as the one between A$AP Rocky and Raf Simons. If the rapper’s love of the designer wasn’t clear enough from his song 2017 “Raf,” in which he debuted his “Please don’t touch my Raf” mantra (he later followed up with a slick music video filled with archival Simons pieces and references to the Belgian designer’s early runway shows), there are plenty of other moments that link the two. Two summers back, Rocky accompanied the designer to the Met Gala in Simons-era Calvin Klein, and he’s been know to flaunt Raf Simons statement jackets onstage on numerous occasions. 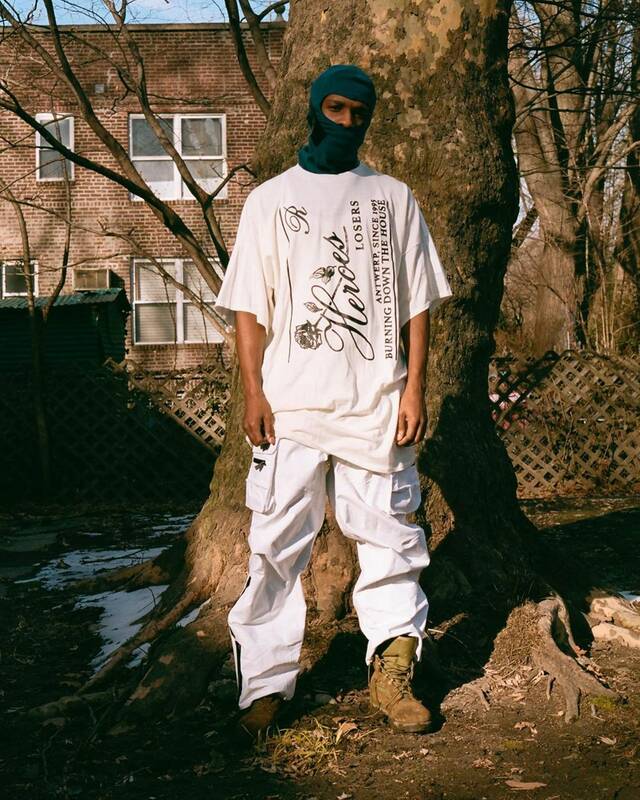 Today, the rapper underscored his reputation as hip-hop’s ultimate Raf fan on Instagram, posting an image of himself decked out in gear from the designer’s new collaboration with luxury Australian ski brand Templa. The subtly slope-ready pieces look perfectly at home on Rocky. Consider his latest social media update living proof that the brightly colored balaclavas, baggy graphic T-shirts, bright orange puffers, and practical ski pants in the collection work just as well on the street as they would on the slopes. When the collaboration was announced at the end of January, the all-weather-ready pieces were revealed on mannequins that were posed as if they were sitting in a pile of snow. Who better to bring them to life in the coolest way than Rocky.